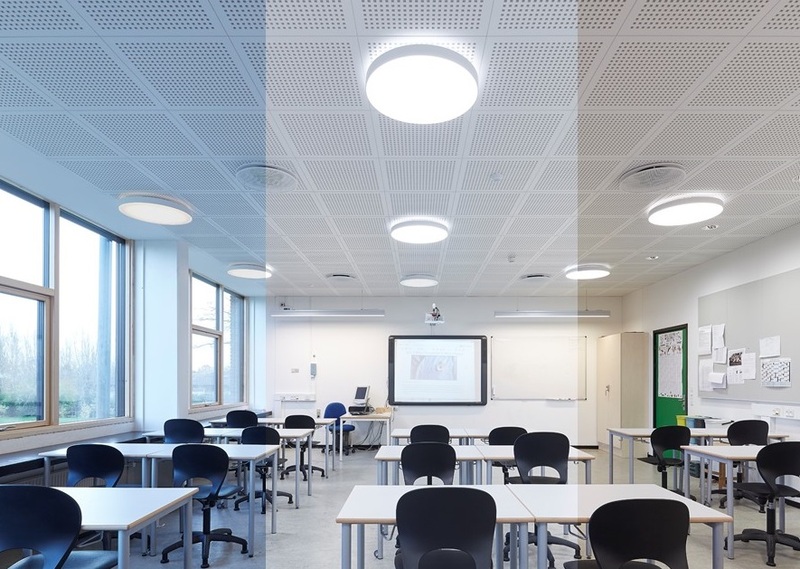 Dynamic LED solution, at Herstedlun school, Albertslund. A new lighting project will lead to energy savings in the region corresponding to the annual energy consumption of around 1800 households. Only one fifth of the public lighting in Greater Copenhagen is classified as energy efficient today. A new large lighting project will exploit this enormous potential to implement qualitative and energy-saving LEDs, and thereby further consolidating the region as a leading metropolis of sustainable lighting solutions. ”There is a major political focus on implementing energy-saving measures in our municipalities,yet also an uncertainty about the direction of technology and future developments. With Lighting Metropolis – Green Economy, the municipalities participating will get the competencies, knowledge exchange and the test environment, to make the implementation possible – in a safe and large partnership,” says Mads Bo Bojesen, Center manager, Ballerup Kommune, lead partner in the project. The new project, Lighting Metropolis – Green Economy, is based directly on previous experiences, including the development of a range of innovative lighting solutions in the region, aims to save energy by increasing investment in intelligent and energy efficient LED lighting of good quality in public buildings and public roads. Estimates indicate possible energy savings of at least 7,200,000 kWh / year. This corresponds to the electricity consumption in 1800 normal Scandinavian households. ”The individual partners each have parts of the necessary competencies in lighting, but only a cross-border cooperation across the region, will bring us the maximum potential of our shared knowledge and the latest solutions and technologies integrated into large scale implementation. Continuous development and implementation can go hand in hand so the lighting in buildings and roads and paths is as sustainable and as good as possible for the users.”, siger Sif Enevold, Chief project manager, Lighting Metropolis. The project comprises of 14 municipalities, one region, three universities and two organizations. It officially launches on February 1st in 2019 and lasts for three years. (See the fact box). The participating municipalities and Region Skåne are expected to invest approx. 177MSEK. in specific LED projects. “There is a great need for innovative lighting solutions in the public sector, such as energy-efficient outdoor lighting for urban and rural areas, or needs-oriented lighting in the healthcare sector. With Lighting Metropolis – Green Economy, we can combine these smart lighting needs from regions and municipalities with innovative solutions from startup companies and established companies throughout Greater Copenhagen, “says Joakim Nelson, CEO. Director of Innovation Skåne. Competence development and knowledge about intelligent solutions, biological light, life cycle, supply, etc. Specification of energy efficiency, quality, color, brightness, flicker and sustainability requirements. Joint offer for advice to make it easier and cheaper for municipalities and regions to get qualified advice. Knowledge of new business models, organization and service agreements. Additional incentives to increase the replacement of lighting through the new opportunities to promote health and well-being with LED lighting. Development of new products and solutions that meet the demands of municipalities and regions through incentives for companies and start-up companies. Better solutions can then be spread to a larger market.